Do you dare to own these fashionable pieces of jewelry, this festive season? Then you can have the custom design jewelry, created this way. Layered pendants can make a fashion statement, at absolute ease. Fix the top of a lamp designed pendant to its bottom portion. You get elliptically designed pendants that come with two cases. These are pendants that have two layers attached to it. You get layered pendants from branded high-street fashion jewelry stores. You can also create custom design jewelry by layering two giant sized hearts. It is a symbolic way of saying ‘We are meant for each other’. A sophisticated outfit needs to be chosen, while you plan to sport pendants this way. You get hoops in a variety of designs and shades. 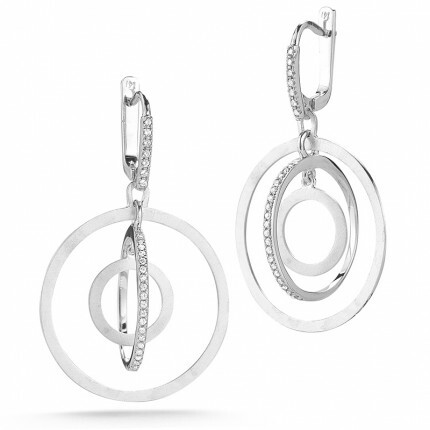 Rounded, square shaped, oval and rectangular hoops can be availed at designer jewelry stores. You can sport diamond shaped hoops to reveal bold statements, the fabulous way. Customized jewelry can be created on hoops, as well. You can stick fancy studs, beads or tiny shaped hearts to give a cute look to the all-new range of statement earrings. These suit all skin types and can be worn by women on different kinds of outfits, as well. These are flattering pieces of jewelry that can create a woo effect on women. Stackable rings can be customized as well. You can wear a fancy ring upon your Engagement ring just to team up with yet another fancy beaded ring. Your cocktail looks are all out, for display. You can opt wearing huge gem stone rings. 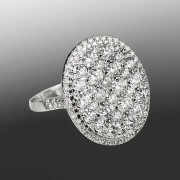 Cocktail rings or signature rings mark your presence at celebrity events. Make an all-bold statement whenever you mark your entry. The cosmopolitan looks of yours can reach an all-time high with the stylish bracelets. These can either take the form of layered cuff links or shaped up like a neat band, kind of thing. Bracelets can also be designed in a chain-lock manner, to achieve an all stylish look. 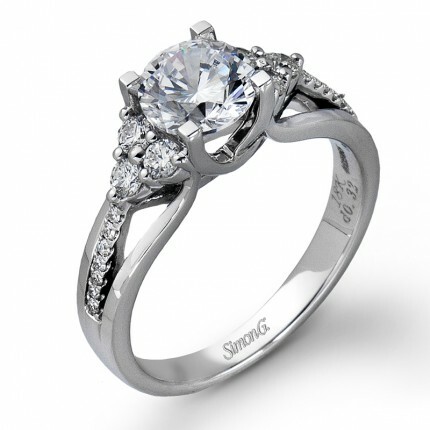 You can try visiting a store namely Steel’s for empowering designs on custom design jewelry and lot more. Online shoppers knock the doors just by typing https://www.steelsjewelry.com on their address bar. What makes men’s wedding rings different than those of women? Men tend to be lazy on the side of dressing up and flaunting flashy items of jewelry on a regular basis. Therefore, one must need a different guide for men’ wedding rings, right? We think so and so do the guys at Brilliant Earth who’ve come up with this ‘complete guide’ to men’s wedding rings. Read on. A guy usually gives a ton of thought to selecting an engagement ring for his fiancé, but when it’s time to choose his own wedding band he may realize that he’s clueless about the options. If that describes you, don’t let your ring be an afterthought! Since you’ll be wearing it for the rest of your life, and it may even be the only piece of jewelry you wear, you should love your wedding band every bit as much as your fiancé loves her carefully selected rings. When choosing a men’s wedding band, there are six things to consider: Width, metal choice, fit, finish, detailing and engraving. How wide do you want your ring to be? Try on rings in many different widths to decide what you like best. Wider rings tend to be more expensive (since they require a larger quantity of precious metal), but you can balance size and price by choosing a metal that’s within your budget. For example, palladium looks very similar to platinum and white gold, but costs less. Platinum is extremely durable and is among the rarest elements in the earth’s crust. It is also hypoallergenic and almost never causes skin reactions. White gold is gold plated in rhodium, a member of the platinum family, which gives it a brilliant white color similar to platinum’s but at a lower price point (note: the rhodium plating on white gold jewelry may need to be replaced after a decade or so). Yellow gold gives off a subtle, warm glow and is a classic option. Palladium is a member of the platinum family of metals and has a very similar look, but generally costs less than platinum and white gold. Rose gold is a beautiful, less common choice and creates a unique vintage effect. It’s perfect for a groom who wants a more distinctive look. Can’t decide? Consider a mixed metal wedding band. No matter which metal you choose, we recommend recycled precious metal as an eco-friendly choice. The edges of a wedding band can be curved or flat, forming right angles to the sides of the ring. Our popular Comfort Fit band has gently rounded edges, which can make it a good choice for men who are concerned about how it will feel to wear a ring every day. Try on a number of different rings to get a sense of which fit feels right to you. High Polish is the most traditional choice and describes metal with a reflective finish. Matte is a less reflective finish with an understated, modern feel. Combination wedding bands combine both matte and high polish textures. Hammered rings look as if a tiny hammer has pounded the metal to create a textured effect. They are popular with men who want a unique, eye-catching look. Not so long ago there were very few options in men’s wedding bands beyond choice of metal, but these days you can have a very unique men’s wedding ring. Add style to your ring with diamond or sapphire accents, like a subtle vertical stripe of sparkling gems an antique scroll or a Celtic knot design. Whether you choose a ring that’s understated and classic or more unique and eye-catching, there are almost endless ways you can personalize the band with engraving. The date of your wedding, your fiancé’s name or initials, a word, phrase or song lyric that’s central to your love story—engraving any of these on your ring will lend it extra meaning. You could even have your fiancé’s fingerprint engraved into the metal—what could be more romantic than choosing to keep a reminder of your fiancé close to you every day? You can have either the inside or the outside of your ring engraved, depending on whether you want to keep the engraving private or show it off to the world. 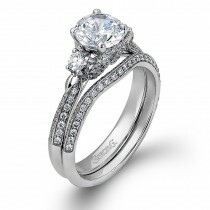 To wear a ring that truly reflects your one-of-a-kind personality, consider having your wedding band custom designed. Our jewelry design experts will help you bring your vision to life, and can suggest styles and effects that will express your unique style, such as nature-inspired motifs, antique designs, or custom patterns or symbols that honor your heritage or history. Ronnie Mervis from Mervis Diamond Importers thinks that men’s wedding rings is an entirely different affair from women’s. He argues that women are used to wearing rings since a young age while most of the men wear their first ring on their wedding days and that’s bound to get uncomfortable. That is why wedding bands for men need to be designed in a special way so they don’t fall off during heavy activity or, say, while playing golf. Men’s wedding rings also tend to be a tad more understated than their female counterparts. Watch him give sound advice in the video below. Buying jewelry is an elaborate art that takes years and sometimes decades to master. That doesn’t mean you have to be a savant to go shopping for jewelry. However, even though most jewelers are honest business people, you should always be aware of the various ways people will try to trick you out of your money. There are some simple precautions you can take to avoid being duped. 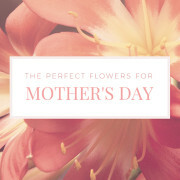 Do an online search to find price and description for every item of jewelry you hope to purchase. Unless your selected items are obscure, you will be able to find them with a single online search on websites of various (sometimes competing) online jewelry retailers. GIA appraisals are good at not only evaluating the worth of jewelry items but also at complete descriptions of any discernible trait or flaw. A good appraiser will be able to tell you right away whether your jewelry is real or an imitation. When buying new or old jewelry, ask the seller for previous appraisals and all documents supporting its authenticity. A defaulting seller might provide you with authenticity or appraisal documents for another item of jewelry! Pay close attention to the details of the documents, and if the size or weight of the item seems off by a considerable margin, don’t buy. Never feel shy to ask for measurement gauges, weighing scales or loupes to verify the details of the stones yourself. 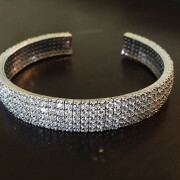 Compare with other similar items of jewelry. Gold should look and feel like gold. If it doesn’t, it’s probably fake gold (or sterling silver coated with gold). Remember different metals have different weights. So if the jeweler has used sterling silver, you should be able to tell once you weight it along with a full gold piece of the same measurements. Gold is usually heavier than both silver and sterling silver. Ask to see the item in person as well as in a catalog. Compare the look of the two and see if there are any discrepancies. Jewelers often run out of the most popular pieces and replace them with similar items. Although there is nothing wrong with doing that, it might inadvertently fool people into buying the wrong pieces. Shop with Steels Jewelry and be assured of genuineness and authenticity in every item you purchase.